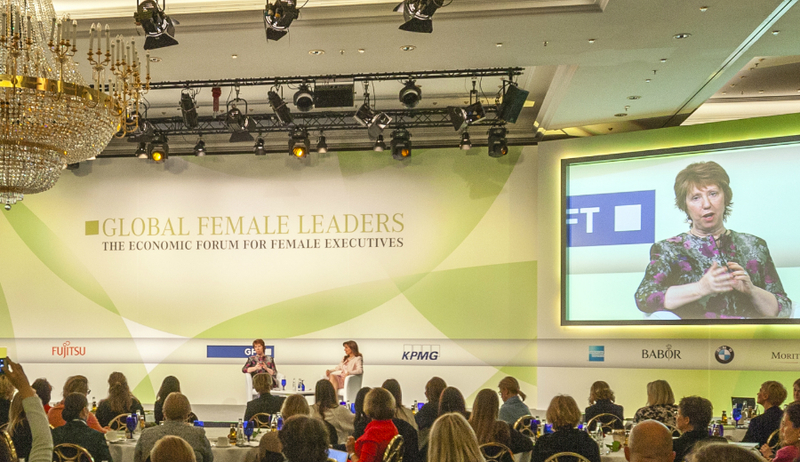 The Global Female Leaders Summit 2016 hosts over 250 attendees for inspiring and energizing three days of networking around an outstanding summit programme. Taking place at the The Ritz Carlton Berlin, the summit covers a broad range of hot topics addressing Geopolitical Risks, Digital Transformation, Disruptive Technologies and Innovation as well as Global Economy and Finance Industry. Baroness Catherine Ashton of Upholland, Former First VP of the EU Commission and High Representative for Foreign Affairs and Security Policy, gives us her personal insights on negotiations. Philippe Legrain, Journalist, Economist, and Kristalina Georgieva, Vice-President of the EU Commission, talks about Refugees and Risks to the EU’s Future. Networking opportunities during the pre-event cocktail reception in the exclusive and relaxed atmosphere of the China Club Berlin, as well as the festive Gala Diner marked another highlight of this year’s Global Female Leaders Summit! Industry 4.0: Can Humans and Machines Work in Harmony? Manufacturing is changing beyond recognition, with the balance shifting from the economic advantages derived from the mass production of standardised goods to an era in which products can be customised in real time and made to order for almost the same cost. Read more. 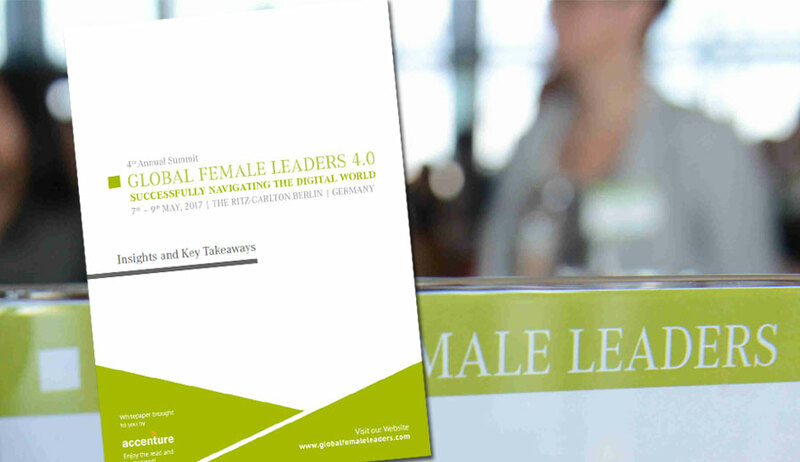 Our Global Female Leaders summit is already over. It has been a pleasure to be the host of such a great event with many powerful, strong and impressing people! Also a big thank to all of our speakers. We are looking forward to the Global Female Leaders summit 2019!